GitHub - JWardee/wp-mail-catcher: A fast, lightweight plugin that saves emails sent by your WordPress website. 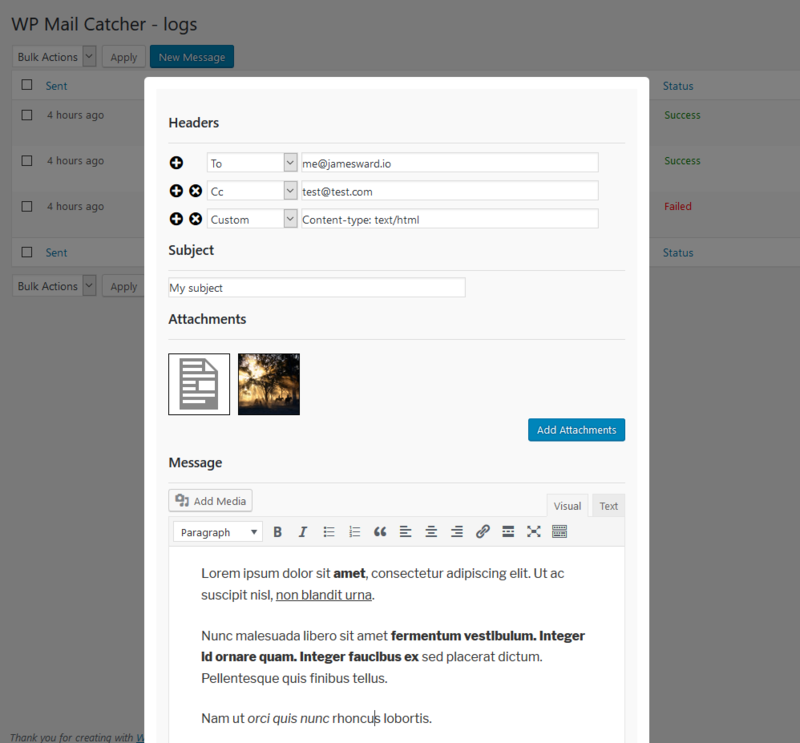 A fast, lightweight plugin that saves emails sent by your WordPress website. 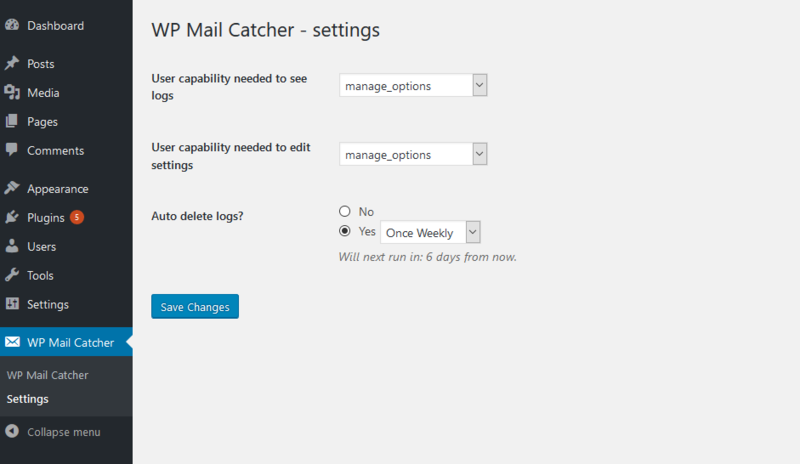 Want to be notified of new releases in JWardee/wp-mail-catcher? Minimalistic - no overbloated features you never use weighing your site down - under 140kb in size! Found an issue, or have an idea on how we can improve? Let us know in our GitHub tracker!